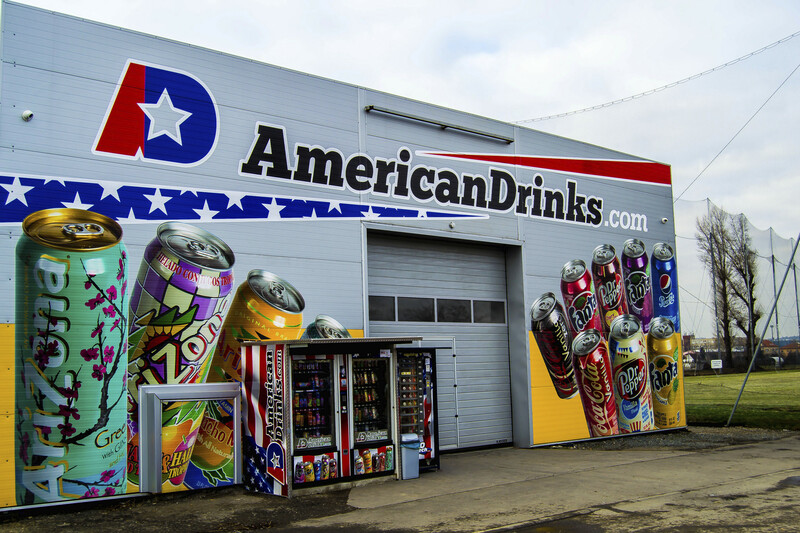 We’re importers and sellers of American foods and drinks, including coffee and beer, with years of experience. We’ll win you over with our speed and precision. Since we have our own logistics network, we can bring these goods quickly, cheaply, and safely all the way to you. We can offer you a broad range of goods and advantageous prices. 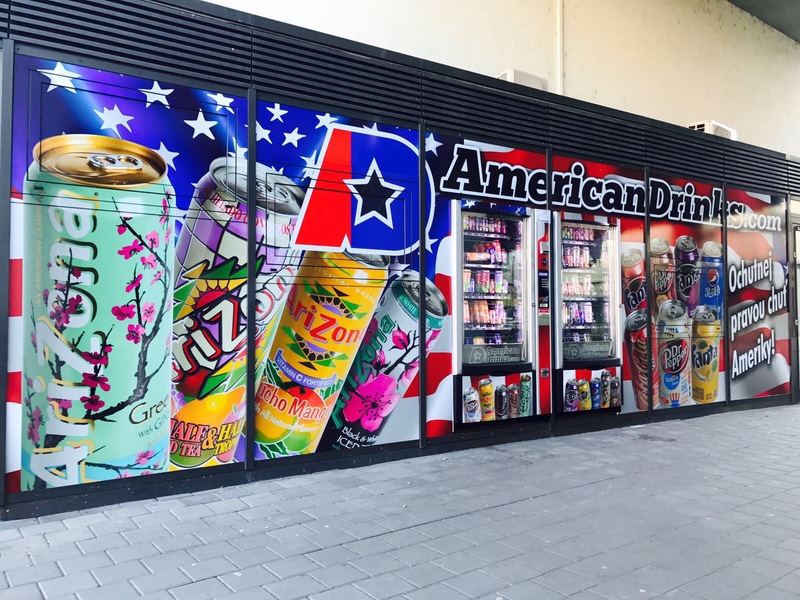 Our product range includes: AriZona, Coca Cola, Fanta, Dr Pepper, Pepsi, Mountain Dew, Sprite, Pop-Tarts, Jelly Belly, Wonka, Starbucks, Pringles, and much more. If you need any information or have any questions, don’t hesitate to contact us. The AmericanDrinks team will answer you immediately. Are you interested in a product that we don’t have on offer? Please just send us a detailed description of the product and how much you’re requesting, and we’ll do all we can to obtain it for you. Would you like to taste the real taste of USA, but you don't want to buy full palette? You can do it through our drink vending machines. You can find our American Drinks vending machines in Brno. If you are not from Brno, don't be sad in next couple of months we will be expanding to many other cities. 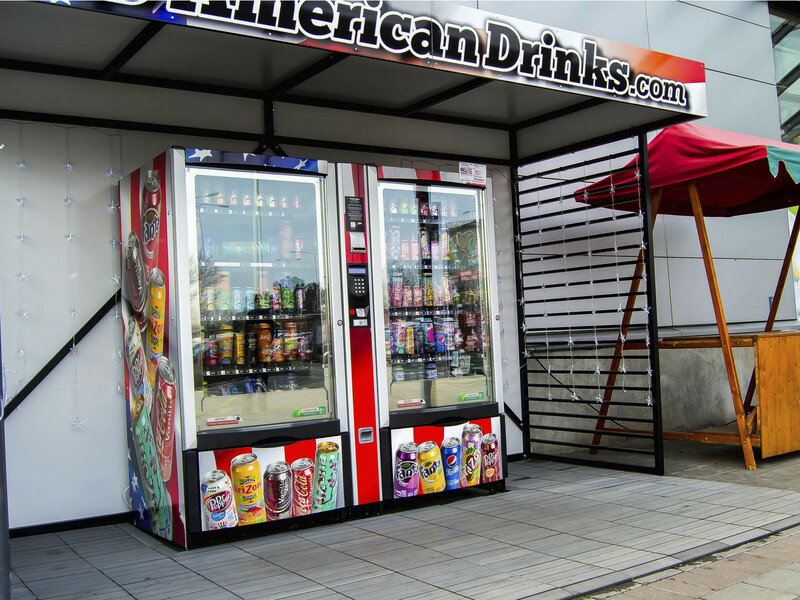 Do you know about some interesting place where you would like our American Drinks vending machine? Doesn't matter if you are the owner or intermediary, don't hesitate to contact us and we will find way to help you. We created new web, where you find new information about our company, and where you can find also our vending machines. We hope that you will like it.